Prophet vs. Paul | askthe"Bigot"
A couple months ago on my way into Goodwill (where I spend much of my free time) I encountered a preacher standing in the middle of the parking lot. He was a Hispanic man and he was crying out “Repent for the kingdom of heaven is at hand!” in Spanish and then in English. He was holding his Bible above his head. It was a little intimidating, even though I agreed with everything he was saying (at least the parts I could understand). 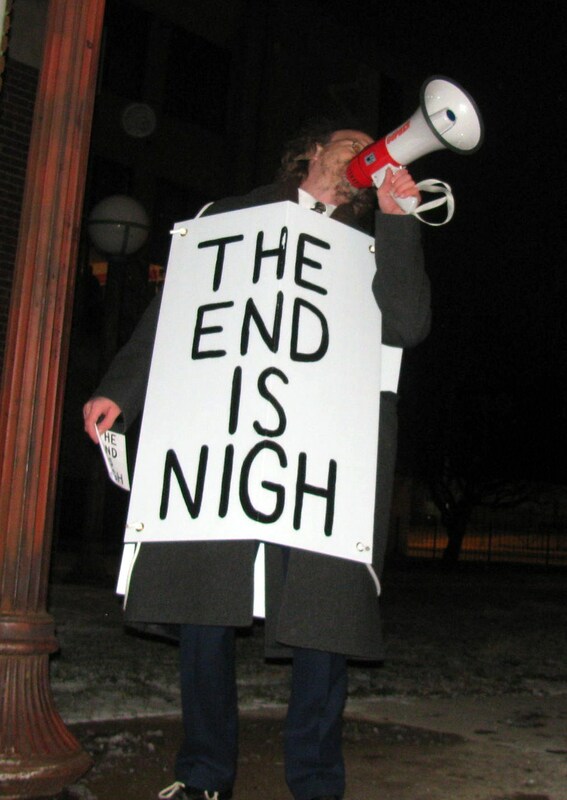 Though I haven’t seen many of them personally, there are some Christians who go into culture Jonah-style with megaphone in hand and sandwich board fixed in place telling people to turn to God or die. That method of evangelism was effective in the Old Testament when the prophets were told to go to Israel and tell then to turn back to God. Whether or not they were currently following God’s ways, Israel was very familiar with His laws and expectations for their nation. The prophet’s approach was prescribed because the prophet’s audience was coming from the same world view as he. Why the difference in preaching styles? Paul was often speaking to people who were coming from a radically different culture and worldview than his austere Jewish upbringing. It takes time to explain foundational truths. It takes time to give the context necessary for understanding the full gospel. The approach of “accept Jesus as your savior” is inadequate unless people understand who God is, what they are being saved from, and what a life in Christ will look like. I’m not saying that the Hispanic preacher wasn’t obeying God. (God has prompted me to do a few things that would be perceived as a little nutty to the on-looker.) What I am saying is that in America today, we need to be patient and persistent. “Witnessing” in our culture must involve long-term engagement. We cannot be conformed any longer to the pattern of this world, but we must be transformed by the renewing of our mind. God will use this transformed mind as we dialogue with a culture that wants more of an impetus than “just believe.” And because this timeless faith is supported by reason, history, archeological proofs, tradition and personal experience- we seldom have to.